Questions linger on one year anniversary of the Kleen Energy Plant explosion in Middletown. Around 11:30 a.m. on this day a year ago, tragedy struck in Middletown when a power plant explosion killed six workers at Kleen Energy and injured 50 others. It was a Sunday morning, Super Bowl Sunday, and much has changed in the past year. A memorial was held on Monday morning and, on the anniversary of the deadly explosion that rocked the Kleen Energy plant in Middletown, state laws have been changed, lawsuits have been filed and the plant is still under construction. The general contractor on the project, O&G Industries of Torrington, attempted to flush pipes using natural gas. Then Gov. M. Jodi Rell issued a ban on the procedure after the explosion. The cause of the explosion is still not entirely certain but, according to State Rep. Matt Lesser, a spark that detonated natural gas might not be as relevant as how to prevent the same thing from happening in the future. “It’s important that we don’t let our eye off the ball in terms of improving safety,” Lesser told the Middletown Press. 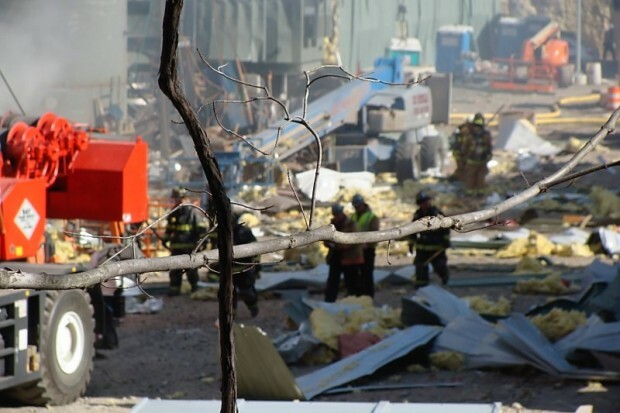 After the explosion, OSHA cited O&G Industries for 142 separate violations in the incident and injured plant workers and the families of some of the deceased have sued Kleen Energy, O&G and Atlanta-based Bluewater Energy Solutions. Lesser has signed a bill that would require potential power plant producers to pay for a special inspector who would work with, and train, local fire marshals in reviewing the plan.